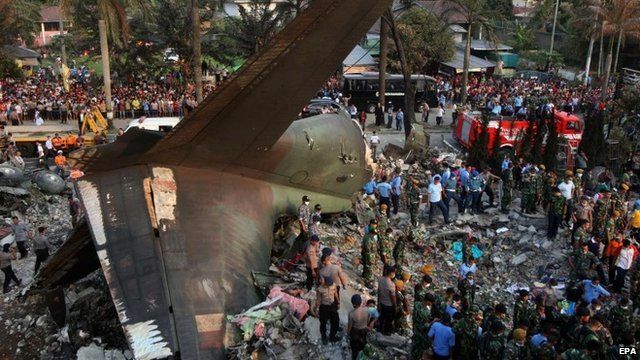 Indonesia pilot 'asked to return' Jump to media player Scores of people have been killed after an Indonesian military plane crashed in a residential neighbourhood of Medan city. Scores of people have been killed after an Indonesian military plane crashed in a residential neighbourhood of Medan city. A major rescue operation is under way at the crash site, where flames and thick black smoke can still be seen.